1905 was a watershed year for Illinois Bands. It was the year Fredrick Locke Lawrence, Director of the School of Music and of the Military Band, appointed the unknown Albert Austin Harding as Assistant Director of the Military Band—marking the beginning of the Illinois bands’ emergence into the esteemed performing ensembles that they are today. Harding was only 27 years old at the time of his promotion to director. His contribution to bands is now legendary. 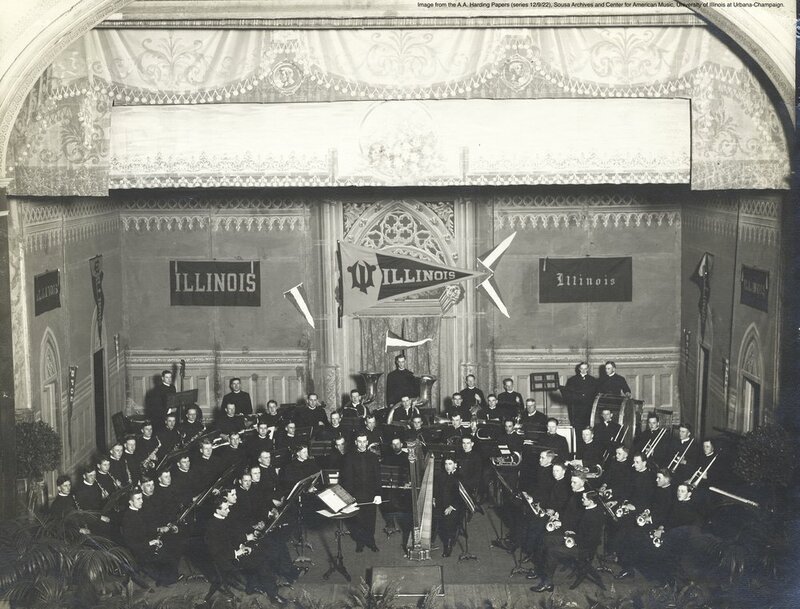 Although the history of the University of Illinois Band can be traced to 1868 with student leaders, it was the 1905 beginning with A.A. Harding that formally launched the first and foremost college band program in the world. 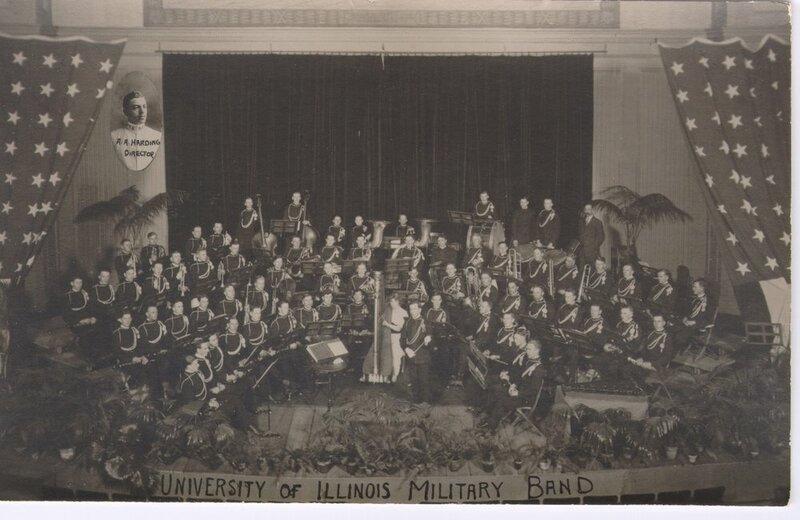 Between 1905 and 2009 the University of Illinois had just four Directors of Bands. Harding’s successor Mark Hindsley, along with assistant director Everett Dean Kisinger, developed the pageantry of the football halftime show in pre-computer times through a system that would be imitated by nearly every college marching band around the country. Directors Harry Begian and James F. Keene continued the Illinois tradition of leadership, commissioning new works and mentoring dozens of the nation’s top college and high-school band directors through the conducting internship program at Illinois. Throughout its history, the innovations made at Illinois transformed bands around the world. A. A. Harding’s (1880-1958) career at the University of Illinois began in 1902 when he enrolled as a young engineering student. As a freshman, he played fullback on the varsity football team and later joined the Military Band at the suggestion of coach George Huff (who is reported to have been an excellent bass drummer). Harding quickly rose through the ranks to become first chair cornetist. So impressed was the director by his capabilities that in 1905, while Harding was still a student, Lawrence appointed him Assistant Director of the Military Band and Teacher of Band Instruments in the School of Music. Two years later, he promoted Harding to Director of Bands—a position that he would hold for the next 43 years. Inspired by the touring bands of Sousa and Edwin Franko Goldman, Harding soon began to develop the role of the Military Band by shifting the focus of its performances from the military field to the auditorium. He also broadened its repertoire by building a library of orchestral transcriptions for band, thereby promoting the concert band as a serious performing ensemble and one that would be recognized by a serious music education curriculum. Harding’s abilities as a bandleader were equaled by his contributions as an educator. 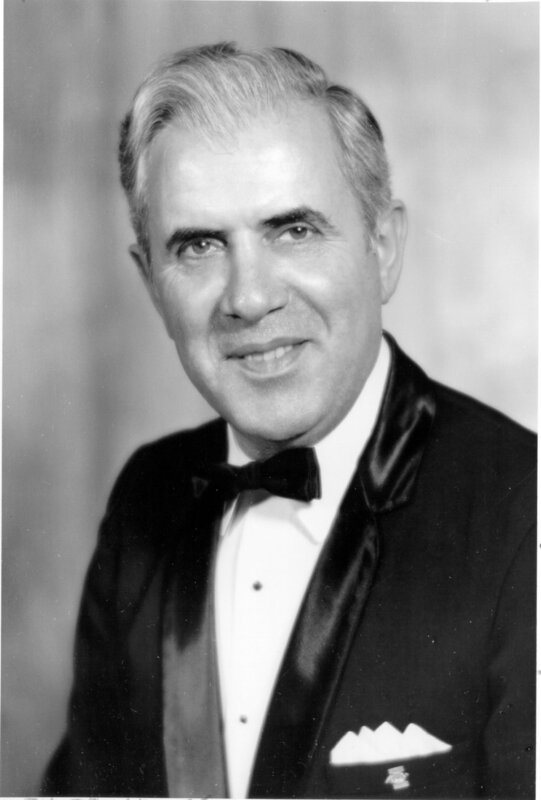 During his tenure at the U of I, Harding was mentor to several of the most acclaimed directors of bands in the nation: William D. Revelli of Michigan, Fredrick Fennell of Eastman, Ray Dvorak of Wisconsin, Clarence Sawhill of UCLA, and Glenn Cliffe Bainum of Northwestern. The success and longevity of these outstanding band programs is due, in part, to the fact that the early direction of each was guided by Albert Austin Harding. Director Harding also exhibited a great admiration for the “March King” John Philip Sousa, and history shows that, from the bandleader’s perspective, the admiration was mutual. Sousa composed the “University of Illinois March” for Harding in 1929 and recognized the University of Illinois Band as the “world’s greatest college band.” In fact, Sousa was so impressed with Harding’s organization of the band library at Illinois that the composer’s family bequeathed his personal library of band music to the University Bands. It arrived in 1932 in 39 wooden trunks and two boxes, weighing over 9,170 pounds! Another high honor came for Harding in 1929 when Goldman invited him to become a founding member of the American Bandmasters Association (ABA). The association was established, with Sousa as Honorary Life President, for the purpose of furthering the interests of American bandmasters and composers, arrangers, and music publishers in wind-band music. As stated in a letter to Harding, “It would be the aim of the ABA to unite in a concerted effort to influence the best composers to write for the Wind Band.” According to its nine founders, the importance and significance of the Association would lie not in its meetings, but in its membership. Along with Goldman, Sousa, and Harding, notable founders included Victor Grabel, conductor of the Chicago Concert Band, and Captain William Stannard, leader of the U. S. Army Band in Columbus, Ohio. Some of wind-band’s most revered works were commissioned by the ABA, including Percy Grainger’s monumental Lincolnshire Posy and Pageant by Vincent Persichetti. A sign on Dr. Harding's desk embodied the spirit of this amazing leader. It simply read: "Always Something New." During World War II, the band division and the UI School of Music were affected in many ways. 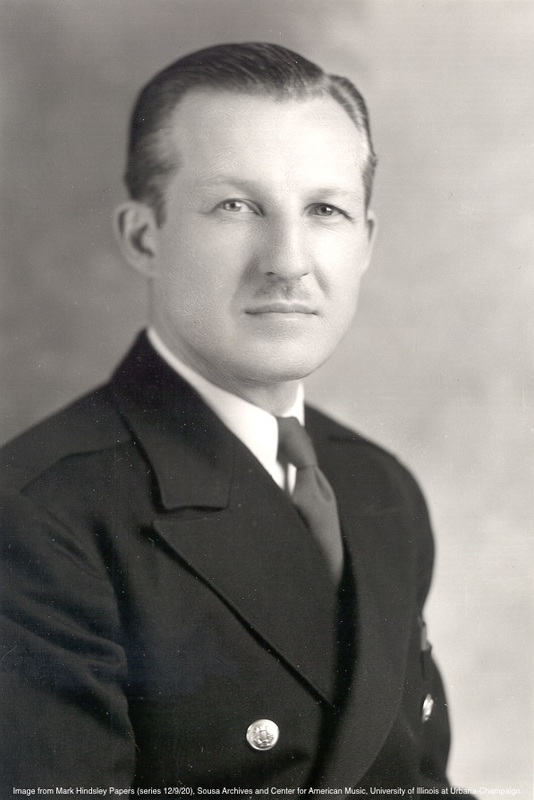 Mark Hindsley (1906-1999), who had arrived at Illinois in 1934 as assistant to Harding, was recruited to enlist as a music officer in the Army Air Corps in 1942. Appointed as Captain and rising to the level of Lieutenant Colonel, Hindsley was stationed in Fort Worth, Texas at the headquarters of the Air Force Training Command. It was his duty to organize and administer all bands and musical activities for the Flying Training Command. In order to accomplish this immense task, he developed a schedule of reports which enabled him to monitor the activities of more than 150 bands. He also conducted regional band clinics for the command, which significantly raised the performance level and consistency of Army Air Corps bands in the area. 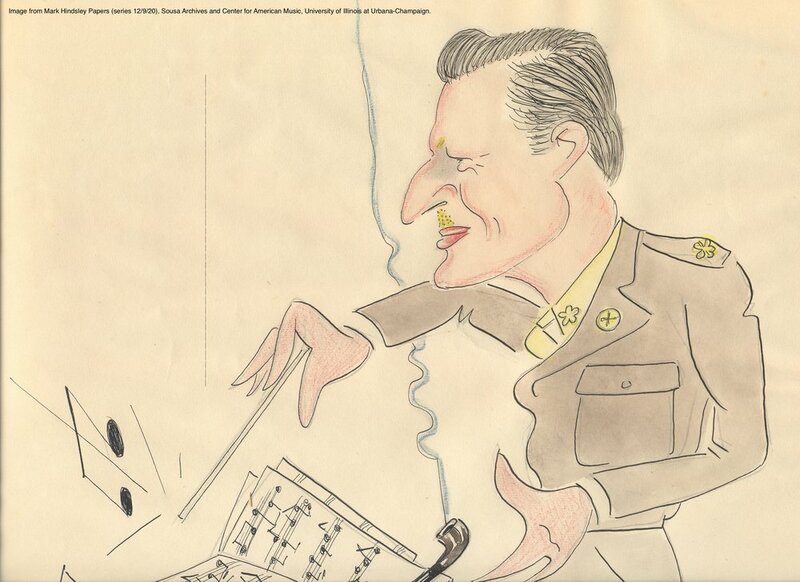 After the allied forces’ European victory in 1945, Hindsley accepted a tour of duty as a member of the music faculty at the American University in Biarritz, France, where he taught band, orchestra, and instrumental conducting. Upon his release from active duty the following year, he received the Army Commendation Medal. Hindsley resumed his duties at Illinois in the summer of 1946, and was named President of the College Band Directors National Association. Following Harding’s retirement in 1948, Hindsley served as Interim Director of Bands until 1950, when his position was solidified through his official promotion to Director of Bands at Illinois. He extended Harding’s library of orchestral transcriptions, ultimately adding 75 of his own orchestral settings—many of which are still performed by bands throughout the world today. Hindsley and Everett Kisinger, who joined the staff as Assistant Director of Bands in 1948, further enhanced the bands’ reputation through their intricate and innovative design of football halftime shows. (To chart a formation, Kisinger arranged small screws representing each of the 175 bandsmen on a scale gridiron, and checked the fans’ viewing angle by sighting down a model of the stands. From the resulting sketch each bandsman marked his music so he could move to the proper spot on the field without a special signal.) Their programs were considered so spectacular that the radio reporters announcing the football game would also announce the marching band show as they were watching it! Hindsley is also the person credited with coining the name “Marching Illini,” previous to which it was simply called "Football Band." 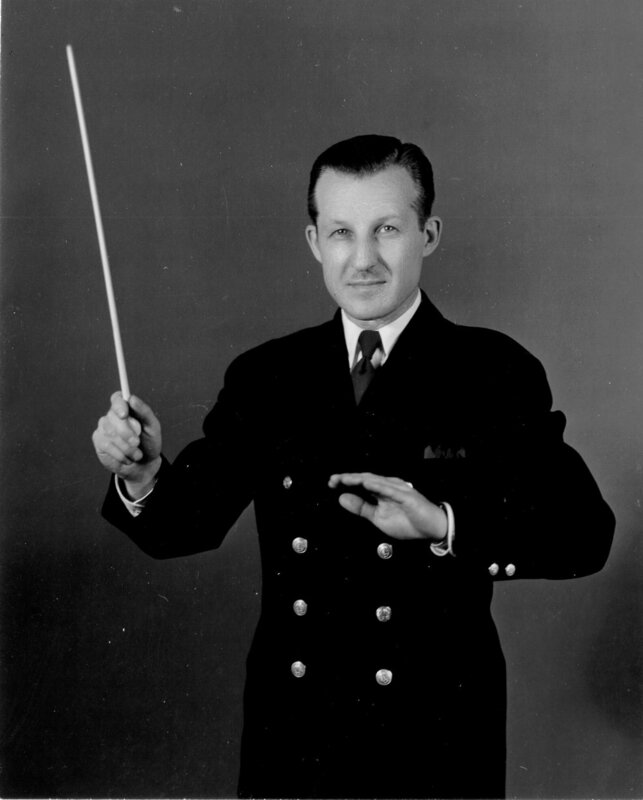 In 1953, Dr. Hindsley appointed Guy Duker as Associate Director of Bands. Duker influenced many students with his musicianship and would remain in that position until his retirement in 1978. In 1955, in order to better accommodate the growing participation in bands, Hindsley received University support for and helped design the Harding Band Building, the first permanent building constructed specifically for a collegiate band. The old building, which the band had acquired in 1928 and which had originally served as a headquarters for the University’s Military Department during World War I, was razed in 1957 to make way for the $870,000 modern structure that the band now inhabits. The Harding Band Building includes one main rehearsal room, six sectional rehearsal rooms, and 12 individual practice rooms, all of which were sound treated and acoustically isolated. It is home to the UI Bands Library, which contains the world’s largest repository of wind band music in its various collections, and the Sousa Archives and Center for American Music. 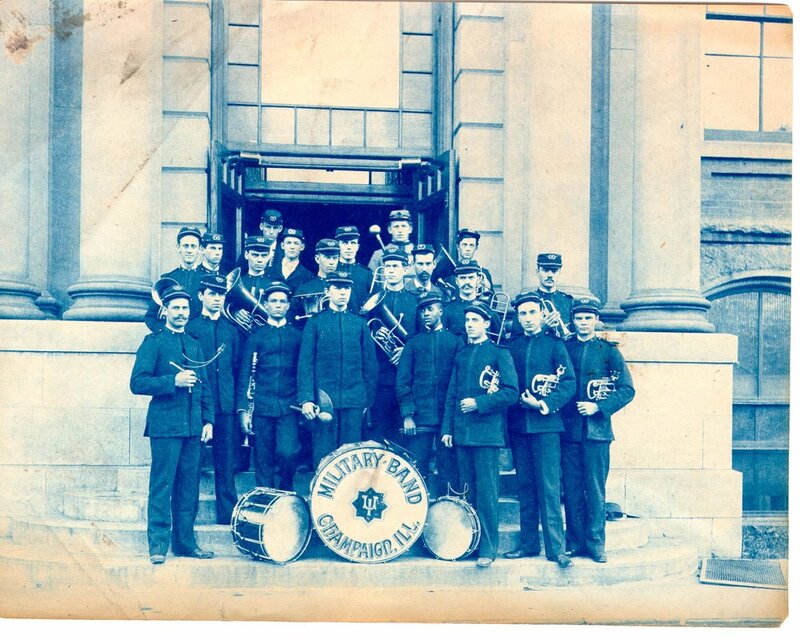 Another important innovation of Hindsley’s was the creation of a recording project for the band program. The 59 recordings of the Illinois bands that were made under his direction continue to provide a valuable resource for music educators, professional musicians, and wind ensemble enthusiasts. In addition, Hindsley designed a high-tech podium that had capabilities for recording, tuning, and playback. The podium, referred to as the “cockpit” by the band members, could not be used at first since it was not built by Union workers. Shortly after its construction, the podium was reconstructed by Union workers so that it could be used in the new Harding Band Building. Mark Hindsley served Illinois from 1948 to 1970, at which time Harry Begian assumed the position of the University’s third director of bands since Harding’s appointment early in the 20th century. 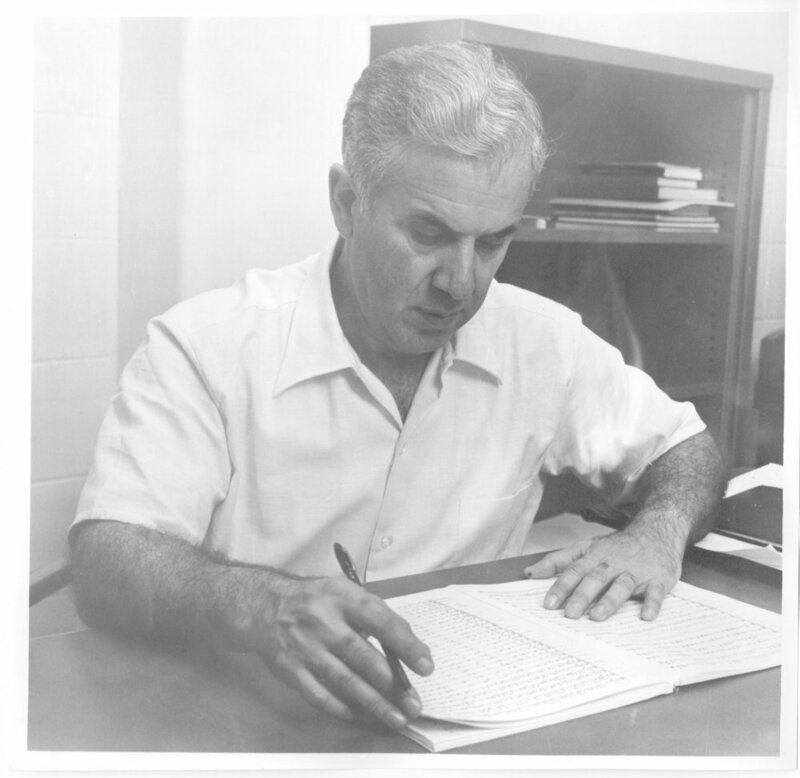 Prior to joining the faculty at Illinois, Dr. Harry Begian (1921-2010) had been Director of Bands at Wayne State University, one of his alma maters, and at Michigan State University. 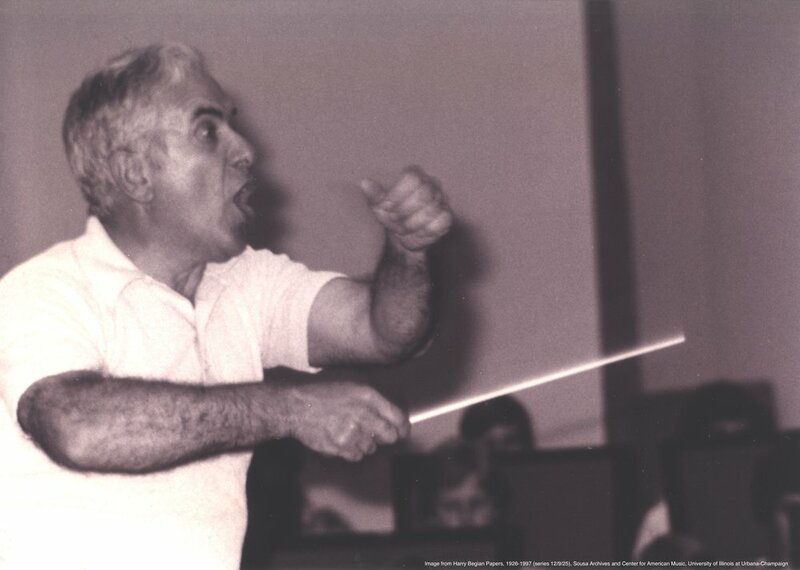 In 1971, soon after beginning his tenure in Urbana-Champaign, he inaugurated a conducting internship program that allowed outstanding young artists a concentrated focus on the craft of conducting. He undertook responsibility for personally mentoring each student in this special program. Many of today's leading college band conductors served as conducting interns under Dr. Begian's tutelage. His deep musicality and unyieldingly high standards created yet a new standard for concert bands throughout the world. Gary E. Smith joined Begian as Associate Director of Bands in 1976 upon Everett Kisinger's retirement. 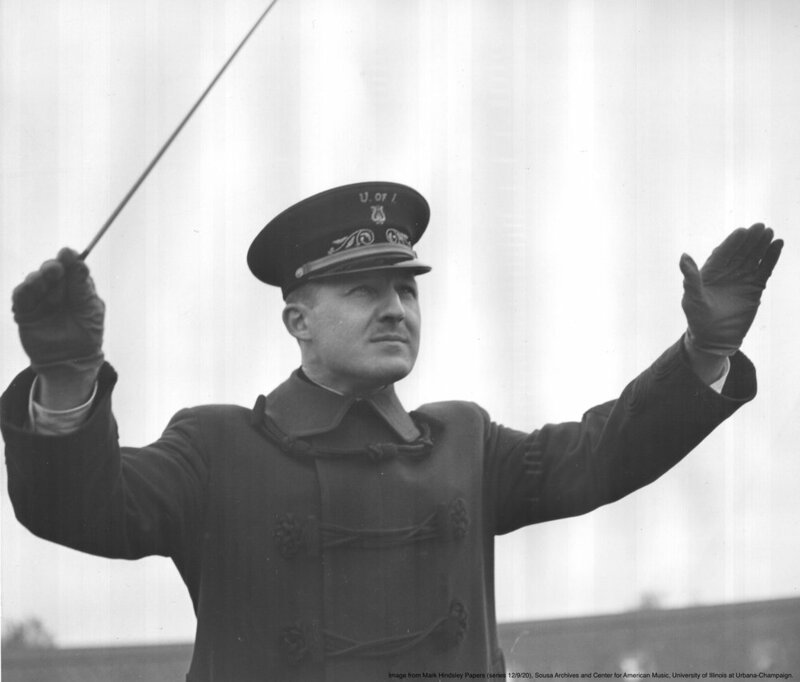 Smith’s duties as Associate Director of Bands included direction of the Marching Illini (MI). He is credited with reviving and creating many of the traditions of the MI, and was known for his contemporary drill design with a flare for entertainment. This era was known for both innovation and leadership in concert and athletic bands. During Begian’s tenure, the size and number of ensembles increased dramatically. It was under his leadership that women were accepted into the Marching Illini in the fall of 1971. Of special note was the expansion of Hindsley’s recording project during Begian's years at Illiniois. 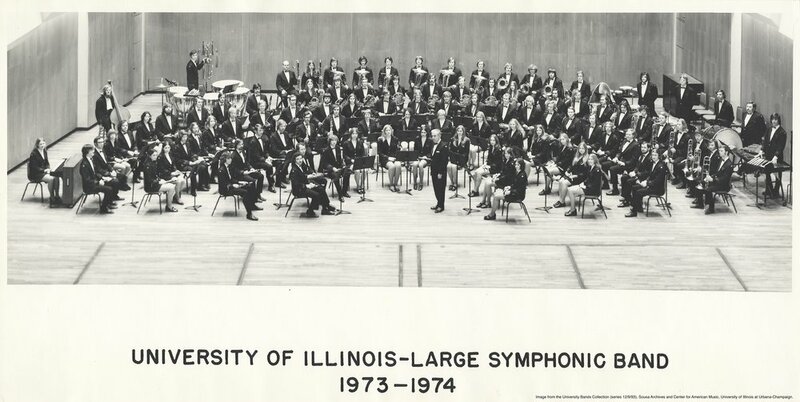 Dr. Begian produced more than 60 LP records of the UI Symphonic Bands. This particular collection is considered one of the largest and finest collections of recorded band performances in existence. Harry Begian retired as Director of Bands in 1984. From 1985 to 2008, James F. Keene served the University of Illinois as Professor of Music and as Director of Bands. He received both his Bachelor and Master of Music degrees from the University of Michigan at Ann Arbor, studying with conductor William D. Revelli—who was mentored by A. A. Harding. During his time at Illinois, Keene initiated and cultivated a series of international outreach programs, including guest conducting and lecture appearances on four continents. The Illinois Wind Symphony performed at every major instrumental music convention in the country. Keene expanded the recording history and continued Hindsley's and Begian’s “Live in Concert” series that is revered not only as a series of quality reference recordings, but simply as great performances audiences continue to enjoy. Keene is also credited with amassing one of the largest bodies of commissioned works in the nation. While at the University of Illinois, he personally commissioned or co-commissioned more than 30 new works written for wind band. Keene also encouraged the formation of the Illinois Band Alumni Association. He was awarded the Grainger Medallion in 1995 by the International Percy Grainger Society for his devotion to and exemplary performance of Grainger’s music. 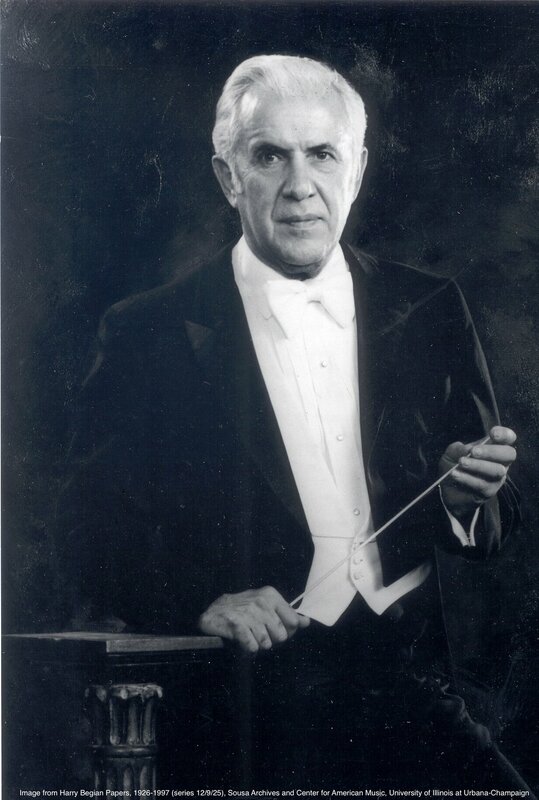 In recognition of his extraordinary service to the musical community, Keene was presented with the Diploma of the Sudler Order of Merit from the John Philip Sousa Foundation in 1997. He was elected President of the American Bandmasters Association in 2002 and later named an Honorary Life Member of the Texas Bandmasters Association, becoming only the sixth person to be so honored in the 55-year history of the organization. In 2009, he was inducted into the Bands of America Hall of Fame in Indianapolis. In 2006 Professor Keene welcomed Dr. Peter Griffin to the band faculty to direct the famous Marching Illini. Under James Keene’s leadership, the Illinois band program made a contribution of international significance to wind band repertoire and to the development of instrumental music programs world-wide. He retired in 2008 and continues to guest conduct and lecture for numerous band programs around the globe.